Teaching Authors--6 Children's Authors Who Also Teach Writing: What's Your Motivation? Spring brings daffodils and new hopes for better times ahead. 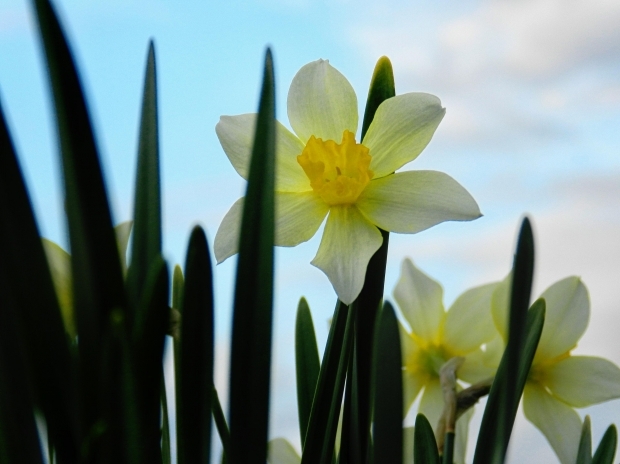 Did you know the daffodil also symbolizes inspiration, creativity and reflection? It’s often the time when, after finishing our winter revisions, we now start a new project. We anticipate new characters with the same enthusiasm of a new relationship. We wake up early, eager to see how they are doing. We spend the day with them, meeting their family and friends, going on fancy adventures, and otherwise worrying about them. And at night, we dream about them. The positive lead character is your traditional hero. S/he represents the values of the community. The hero gives the reader a window into the story. Readers love traditional heroes because if the hero wins, everyone wins. Including the reader. A negative lead character does things that most wouldn’t approve of. In fact, readers don’t always like the negative lead. As such, this character type becomes the hardest to create. Hannibal Lecter is the serial killing antagonist in Thomas Harris’ Red Dragon and Silence of the Lambs. But he becomes the primary character in the third book and movie, Hannibal. We don’t like him, but we certainly are fascinated with him! The third lead character, the antihero lead is a specialized kind of hero. Society may see her as an outlaw or a villain. But the reader sympathizes with the anti-hero. She is the individualist, the one who goes it alone. Readers fall in love with these types of characters. The key to creating memorable characters is understanding their motivation. Her motivation helps establish the vital bond between herself and the reader. After all, readers can empathize with a character’s motivation, especially if it’s similar to her own. Readers want to know why these characters are in the mess they are in. In fact, psychologists distinguish two kinds of motivation: social and physiological. Your character has basic biological needs. Our bodies are hardwired to fear and avoid pain and death. Your character may also find motivation in social situations, from familial to cultural to national situations. The social motivation reflects behavior, and determines how behavior influences personality. These also include unconscious response to early conditioning, and ingrained beliefs on gender, race and religion. If the plot is what happens to your character, then her motivation is the force that sets it into motion and keeps it going. It’s why she goes after her goal in the first place. Story is driven by motivation. Gregory Martin (New Writer’s Handbook, 2007) points out that this ‘desire’ is driven not only by the character’s desire but by the reader’s desire as well. The reader wants to see the character succeed, or at least wants to see what happens next. And, more importantly, it’s the writer’s desire to “thwart both the character and the reader,” for that is the essence of story. But motive and motivation can be complicated. Just as there are times when we don’t fully understand why we do the things we do, you’ll discover that your character does not always understand her behavior. This confusion, however, makes your character real to the reader. Her confusion reinforces her struggle. Your character’s history relates to her inner struggle. As Dr Phil tells us, our past affects our present. Understanding this psychological make-up of your character adds depth to your story. Daughters who grew up neglected by their fathers often look to their lovers to fill some fundamental sense of emptiness. They may be too needy, always wanting to be told how special they are, always too eager to please. Sons who mothers abandoned them at an early age often have a hard time trusting women. Are monsters created or are they born? Remember the lead character in Monster (2003), in which Charlize Theron plays lead character Aileen Wuornos, a serial killer who – we discover through backstory -- had been brutally victimized as a child. By the way, read about the backstory and motivation for April's wonderful brand new book, More Than Enough! And enter the giveaway! 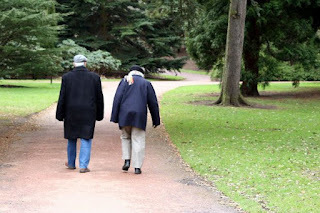 Meanwhile, take a walk with your character, and fall in love again! Spring is always a good time for me to start new projects. I wake up excited about new ideas & look forward to scribbling in my notebook. I didn't know that daffodils symbolized inspiration, but that makes perfect sense to me! JoAnn: Spring is perhaps my favorite season, spring snow aside. Everyone and everything is waking up and stretching out! Great post, Bobbi. Whenever I'm having trouble with a story, looking at my characters' motivations and thinking more deeply about them usually helps me resolve the problem. Thanks, Bobbi, for this insightful post.